Each tuo is around 5g in weight so our 10g pouches have two tuos per pouch, while 50g pouches have 10 tuos. 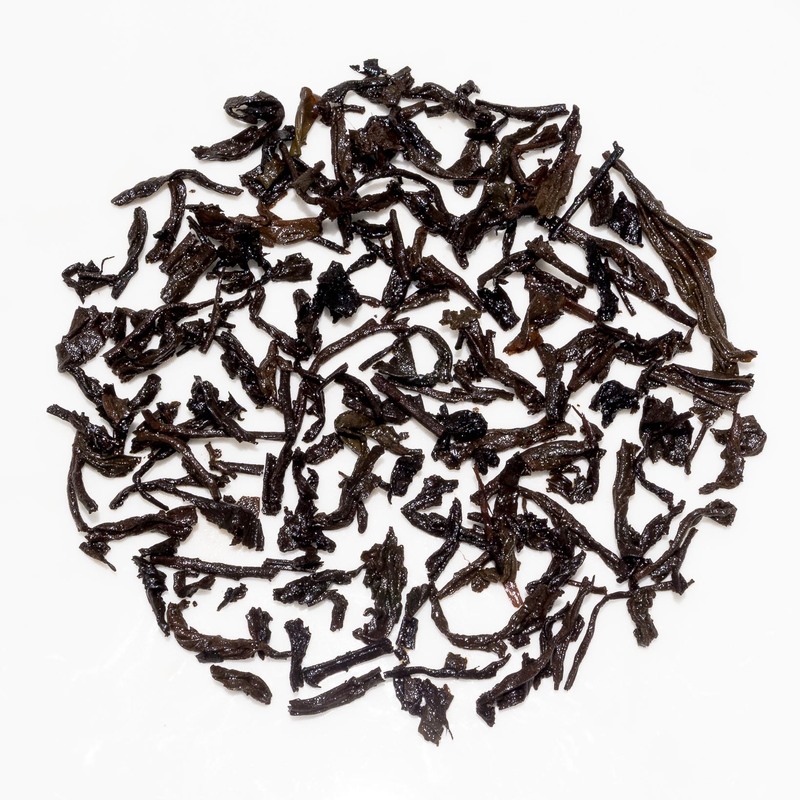 Mengku Shu Tuo Cha (勐库镇熟沱茶) is a shu (ripe) pu-erh from Mengku, located in Gengma Dai and Va Autonomous County, Lincang City, Yunnan Province. 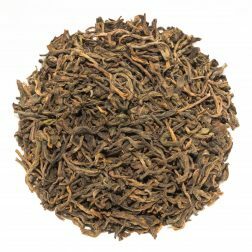 Made from higher grade leaves that most individual-serve tuos, it has a clean and woody character that is rather comforting. Our current batch is from 2011. Each tuo weighs approximately 5 grams, making these ideal for hassle-free pu-erh brewing. 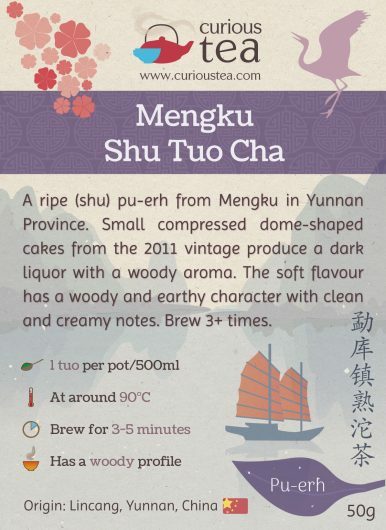 This Mengku Shu Tuo Cha is a great introduction to pu-erh both in flavour and convenience. It comes in very neat individually wrapped small dome-shaped cakes that are around 5 grams in weight. 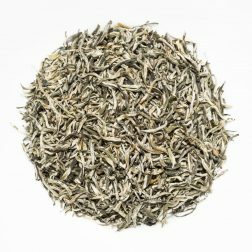 This makes them ideal for brewing in a small teapot – just use one cake per roughly 500ml. 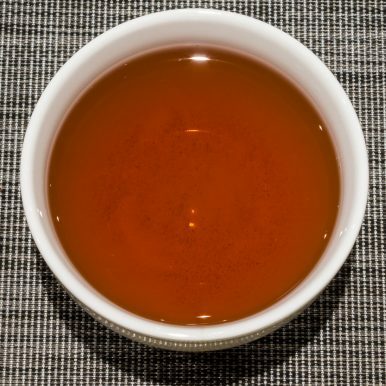 You can also split this tuo in half if you prefer to make a smaller amount of tea. 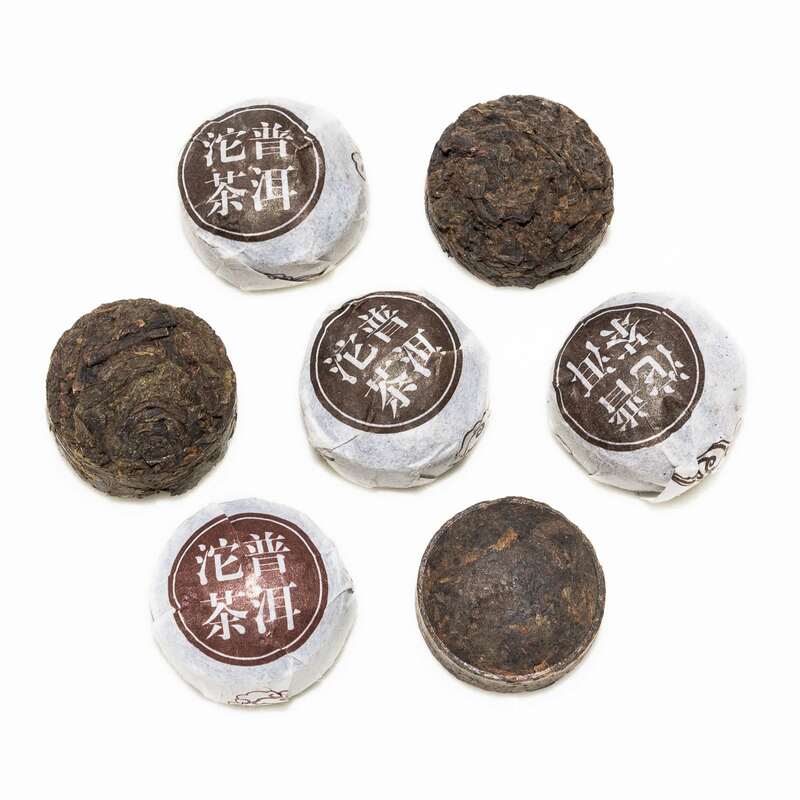 The Tuo Cha (沱茶) name refers to the shape of this tea; each tuo is shaped like a small bowl or nest. 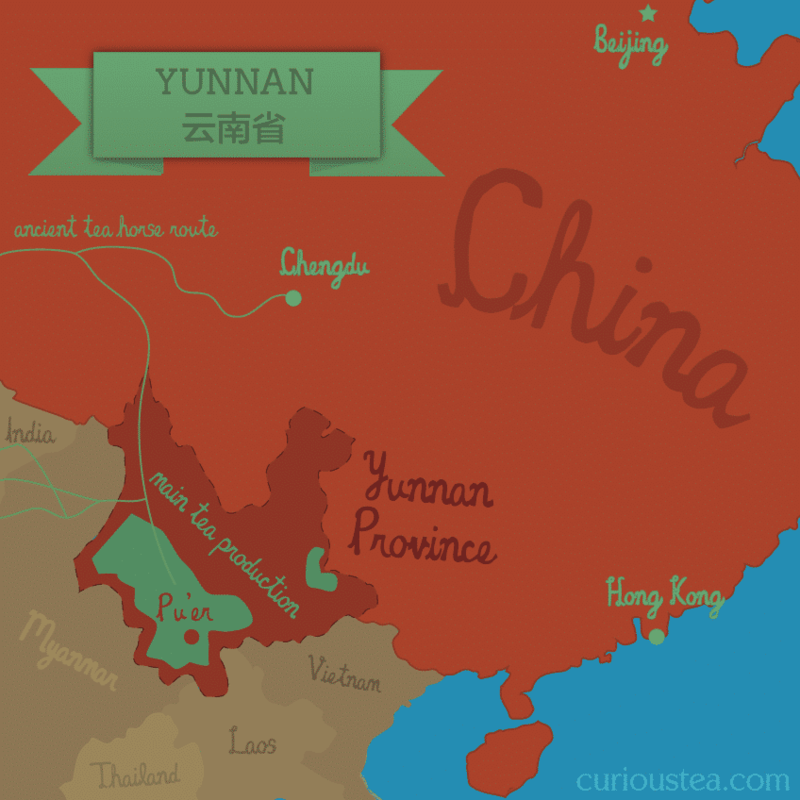 In terms of size, a tuo can range from 3g up to 3kg. This is a ‘ripe pu-erh’ or ‘Shu Cha’ (熟茶). This means that it has undergone accelerated fermentation in order to speed up the ageing process and improve flavour. The length of time that these tuos were fermented for was 47 days. 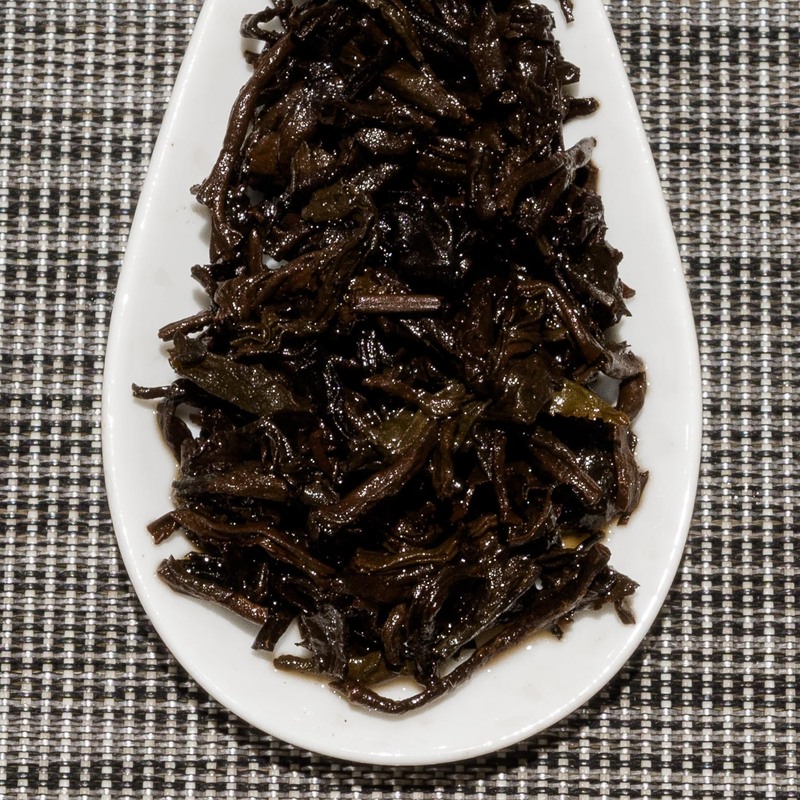 After that fermentation the tea is ready to drink, but it has been further aged since 2011. 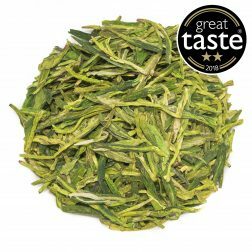 This evens out the flavour, producing a smoother and more satisfying cup. This tea is ready to drink now but can also be aged further. 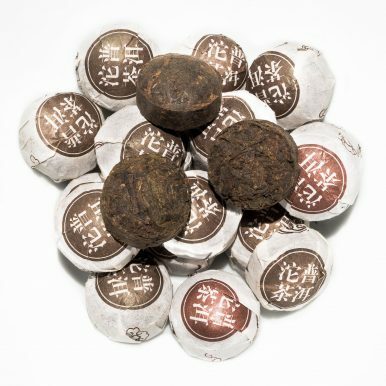 Mengku Shu Tuo Cha pu-erh tea comes in small cakes that are formed of tightly pressed black leaves with golden tips. The leaves are larger and better quality than those used in many other small tuos. 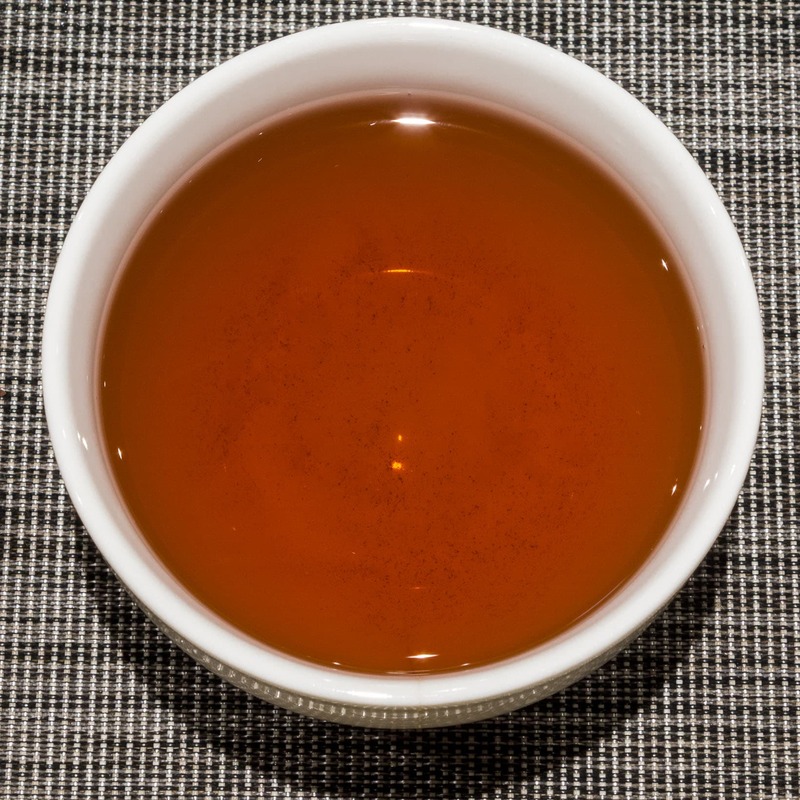 The brewed liquor has a dark amber colour and a light, slightly woody aroma. This tea has a very smooth character without any astringency or bitterness. The clean woody profile has soft, creamy and earthy notes of walnuts. 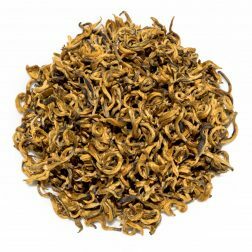 Overall this is a comforting tea with an accessible taste that is a great introduction to shu pu-erh teas. We suggest brewing at 90°C for 3-5 minutes according to your taste. It should be brewed around 3+ times depending on your taste preferences. 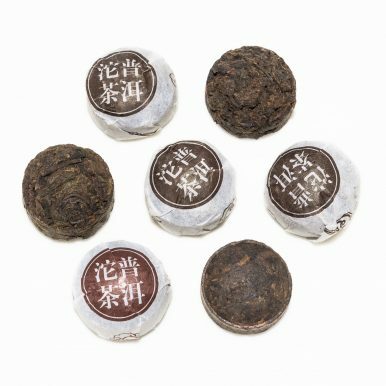 These tuos are ideal in weight and size to either use for western brewing (1 tuo per 500ml pot) or gong fu brewing (1 tuo per gaiwan or yixing pot).